Stop everything and watch this koala on the beach chilling out. Best thing you'll see today: The pensive koala, sitting on the beach, contemplating life. 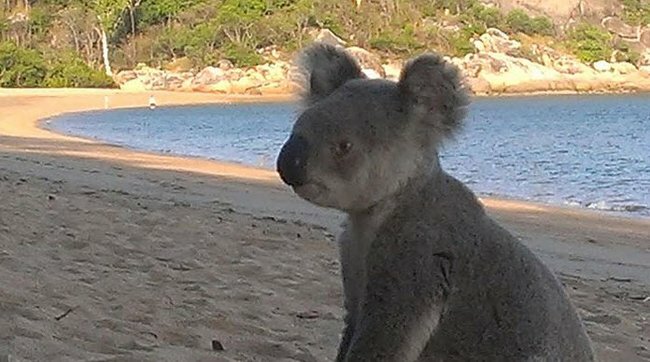 This pensive koala spotted chilling on the beach and contemplating life will pretty much make your day. The curious marsupial was seen scrambling down from his gumtree home to take a leisurely walk along the coastline on Queensland’s Magnetic Island. 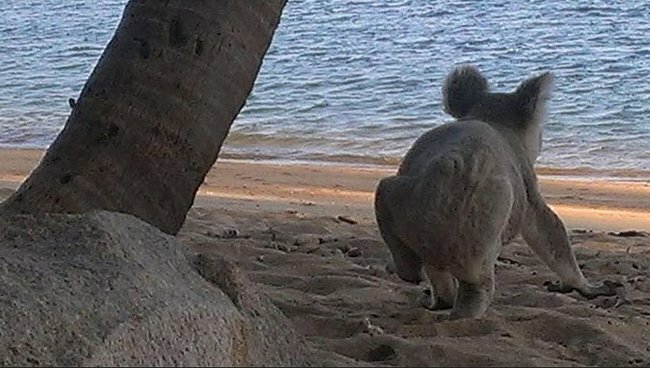 The video shows the koala sauntering towards the shore before sitting and taking in the view from the sand, apparently fascinated by the motion of the waves. The koala was in no hurry to leave the picturesque beach and was not bothered by his surprised audience. The video was captured by ABC North Queensland’s Jamie Rule, who happened to be holidaying on the island with his family at the time. James Cook University’s Professor Andrew Krockenberger and his team of researchers have been studying the koala population on the island for the past six years. He told the ABC that they estimate there are more than 600 koalas in the area and that they were a healthy population. Koalas were not native to the island when Europeans first arrived, but they first began appearing in the area during the 20th century. Mr Krockenberger said that while the koala’s behaviour was unusual, it was not remarkable, as koalas were naturally curious and have even been known to swim between islands. Whether you are an animal lover or not, the video and pictures are well worth a look, especially during a time when there is so much sadness and tragedy in the news. It’s not every day you see our wildlife enjoying a casual trip to the beach, and the koala’s fixation with the water and calm contemplation make it even cuter. Koalas. They’re just like us.